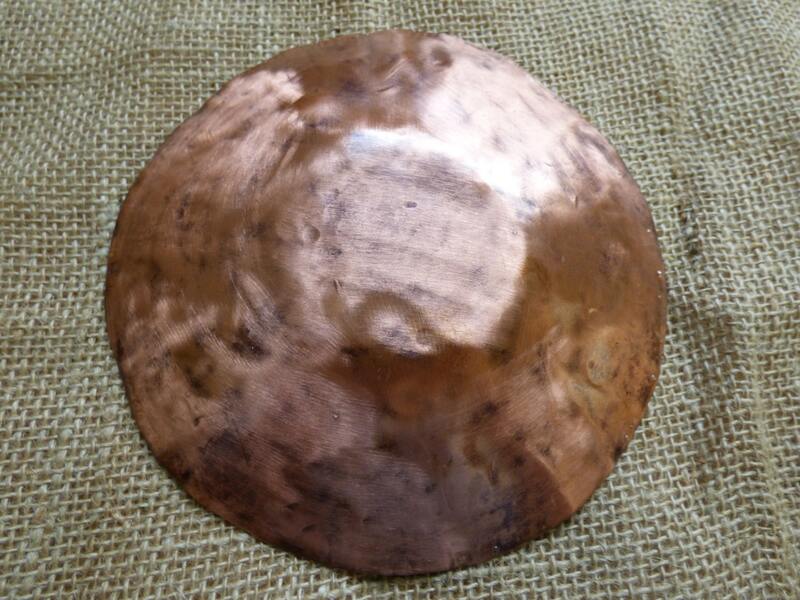 Simple hammered copper bowl that starts its life as a 20 gauge copper sheet, cut to a 6 inch disk, then hammered to shape, and brushed with a sanding disk before finally being treated with a non-toxic, food safe sealant to keep that unique brushed finish look protected for years to come. 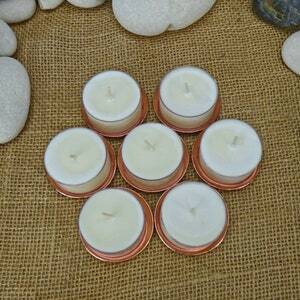 They make great votive candle holders, or as an accent to small or medium sized candles. Of course candles is not the only thing this dish can hold. 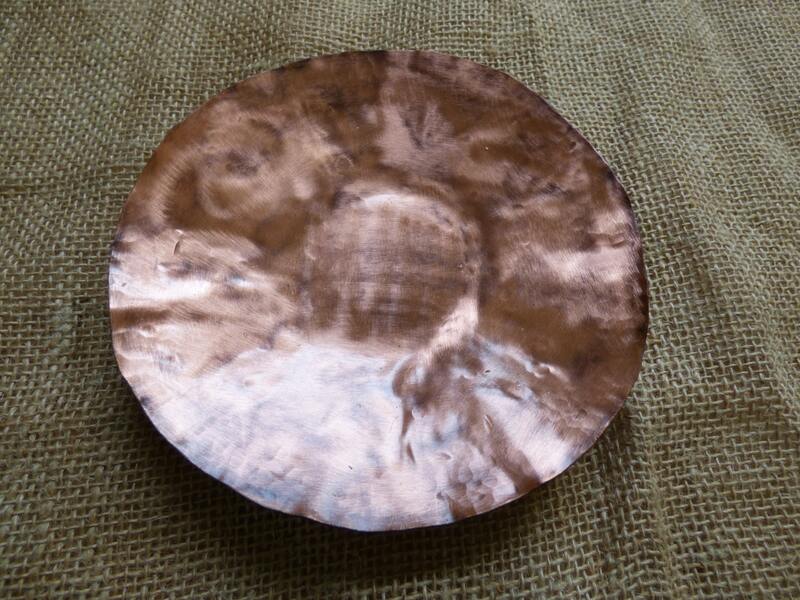 Many of my customers buy them to use as ring holders at their bedside, in the bathroom, or by their sinks. 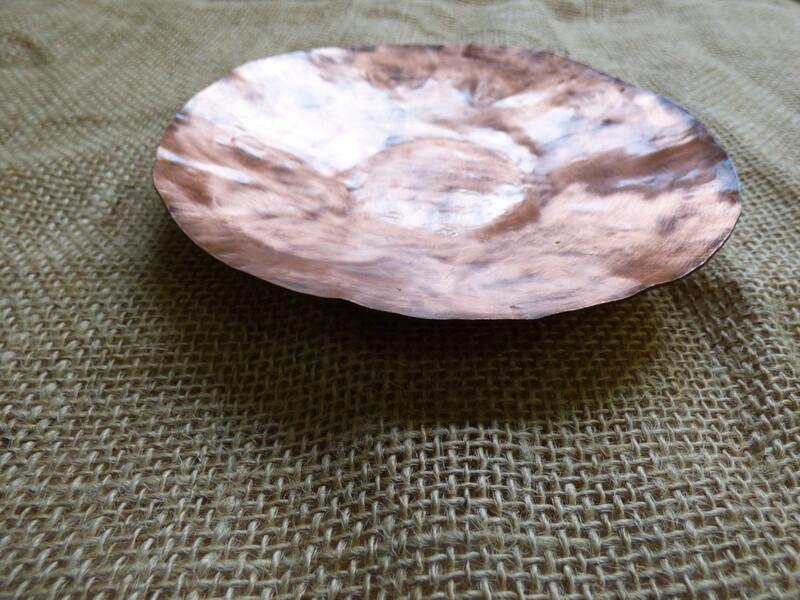 Others prefer these beautifully crafted copper bowls for use in entryways, not only as decorative pieces, but as catch alls for keys, coins, and whatever has been cluttering up your pockets. They truly are a versatile work of art. Shipping is calculated using Etsy's built in shipping calculator! Orders outside of the United States may be subject to Tariff's, or Taxes that are the sole responsibility of the recipient. If you are unsatisfied with my work, or simply do not like the piece as much after seeing it in person, return it to me (must be post marked no more than 30 days after delivery). I will give you a full refund, or replacement if their was a problem with the product you purchased. I love being able to make unique jewelry! 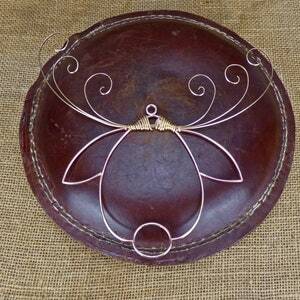 Contact me about custom orders and the ideas you have, I will gladly work with you to bring your creations to life.